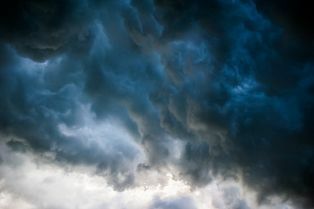 Flooding and Tornados Destroy Missouri Properties | The Voss Law Firm, P.C. A tornado touched down in Lee’s Summit—one of the suburbs of Kansas City—and damaged multiple structures, including a fireworks trailer set up for the holiday weekend. Another tornado also touched down in Pleasant Hill. Mercy Hospital in Crystal City had to move 20 patients as the emergency room filled with water from flash flooding. In the small town of Festus, Missouri, six inches of rain fell overnight and breached a levee. Two mobile home parks were flooded, and more than 60 residents were rescued from the rising waters. Other areas south of St. Louis were also affected by flash flooding, and Highway Patrol crews were searching for people who may have been swept away by floodwaters. At least one body was recovered, and crews were still searching for the occupants of other cars abandoned on flooded roads. High winds and devastating rains affected many more communities across the state, with flooding being the biggest cause of property damage and evacuations. Unfortunately, these storms were only the most recent to batter Missouri and other parts of the Midwest this year. Home and business owners in the state have already been taking steps to recover from flooding in June, which was already exacerbated once by the remnants of Tropical Storm Bill. Due to the seemingly non-stop severe storms and heavy rains that have affected the region, many people have now been displaced from their homes, and many businesses have had to close their doors. But it’s not over yet—even more severe weather is expected in the Midwest as the summer of 2015 wears on. It isn’t as easy as it should be to file an insurance claim after a major loss event, especially if you don’t understand how to protect yourself and your property. Don’t wait any longer to find out more about your rights as a policyholder after fires, floods, and other disasters. Request your free copy of our book, Top 10 Mistakes You Cannot Afford to make When Filing Your Insurance Claim, or call our law firm directly at 1-888-614-7730 for help with your questions. Acts of God & Flood Insurance Claims: What Is Covered?